Manage, treat and heal your wounds effectively. 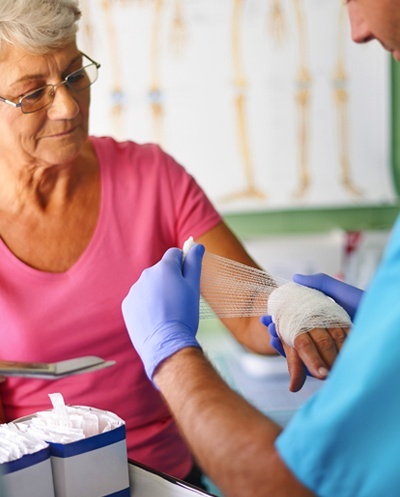 The Northport Wellness Center’s Wound Care & Recovery program not only emphasizes restorative therapy and techniques to promote recovery but also focuses on assisting patients in achieving optimal health. Our network of specialists provides personalized in-home care and guidance in collaboration with your health care providers. The Northport Wellness Center’s Wound Care & Recovery Program is designed to help you not only experience relief from they symptoms of your condition but to assist you in healing from the inside out, so that you may live your life free from pain. We will evaluate your unique condition and partner with you and your care providers so that you may receive the most effective treatment plan. Receive expert care. Heal and recover from your wounds. Experience optimal health.